My Toddler’s First Fib – And It Is a Doozy! | Mark Rickerby's blog AND (insert trumpets here) God's Sitcom – Messin' with Mark! My Toddler’s First Fib – And It Is a Doozy! My 19 month-old daughter has not only started fibbing but fibbing in the biggest way possible – blaming Mickey Mouse for damage she intentionally caused. She has a little hobby when she can’t sleep of picking the leather veneer off the backboard of the bed. Below is the video of her interrogation before being taken downtown and booked for vandalism. UPDATE: Turns out she was telling the truth! 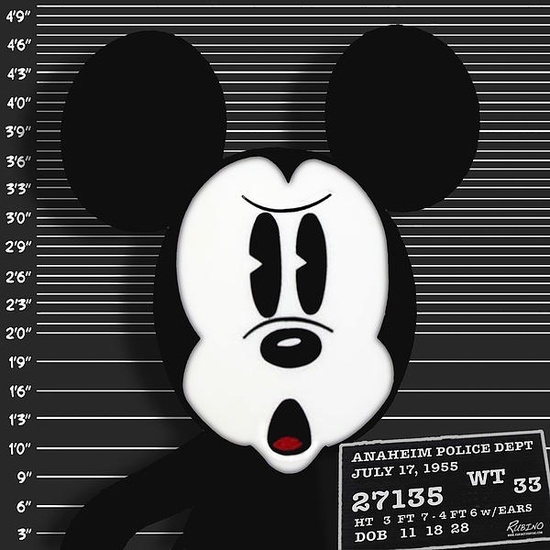 Mickey Mouse confessed, has taken a few of the seven dwarves hostage, and barricaded himself inside the whale on the Pinocchio ride at Disneyland. Fortunately, he is unable to fire a weapon because of the giant, white gloves he wears, so his only defense against the SWAT team is to throw lollipops. One officer was struck in the neck by one of those giant ones they sell at the gift shop, causing a small welt. I will keep you posted as the situation develops. I feel terrible for not believing my toddler, but who would have guessed? 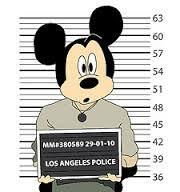 Mickey Mouse, a common criminal! This entry was posted in Fatherhood, General, motherhood, parenting and tagged baby, cute video, dad, fibber, fibbing, funny, funny home video, funny kid videos, humorous, mom, parenting, toddler by markrickerby. Bookmark the permalink.